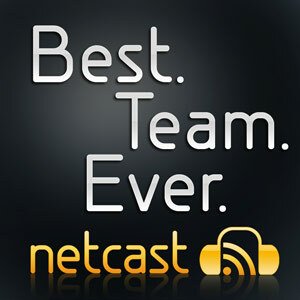 BTE Netcast – Episode 1 – Oh hai! – Best. Team. Ever. BTE Netcast – Episode 1 – Oh hai! Long time coming, this is the first episode of our netcast. We’ve recorded quite a few of these so stay tuned because I’ll be posting all the shows in the next few days or weeks (bandwidth limitations). In this show we talk about Wanted and introduce the revolutionary lolcat rating system. Another topic you’ll hear not only in this episode but in many to come is Halo, the game that brought us together.